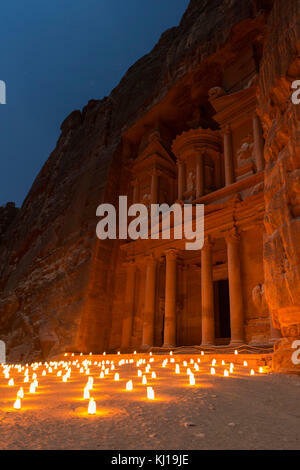 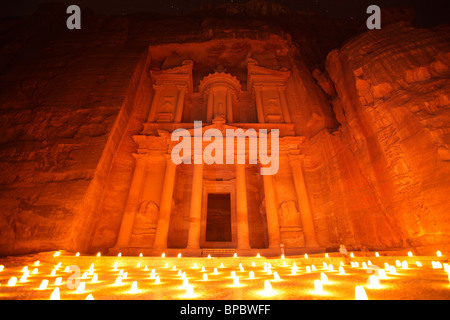 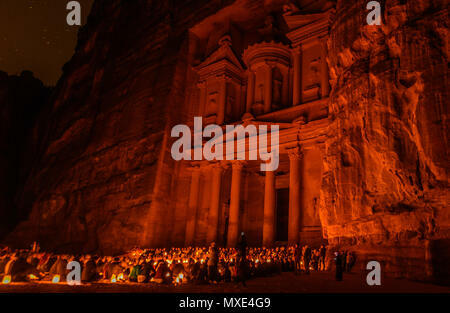 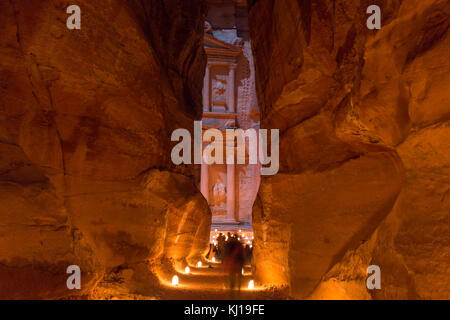 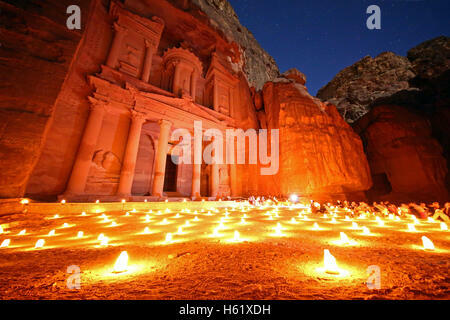 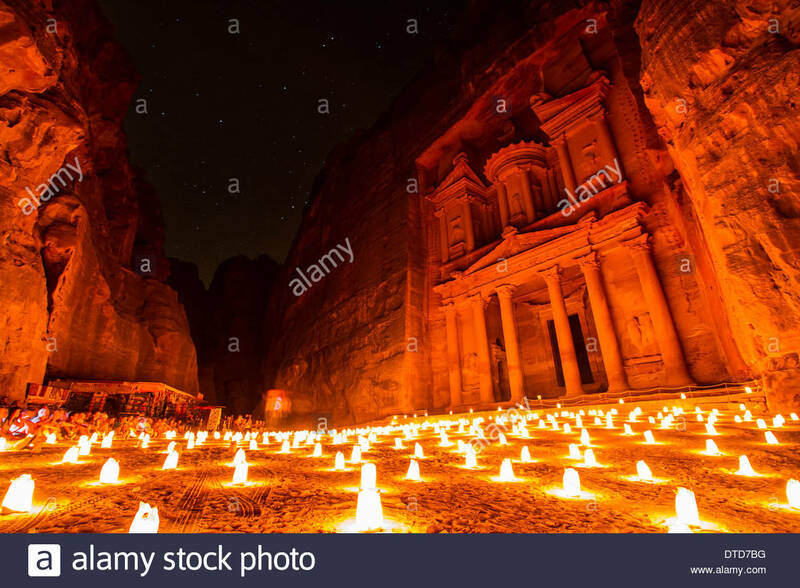 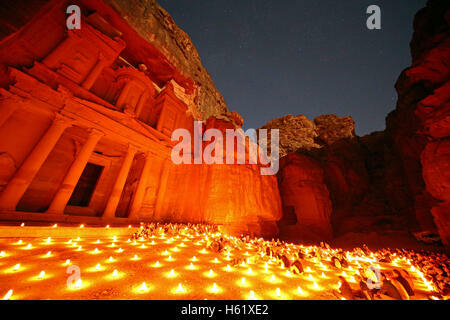 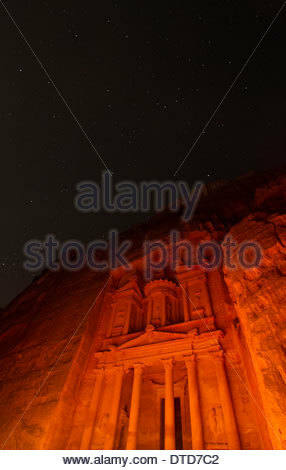 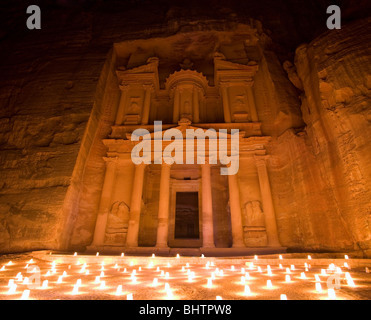 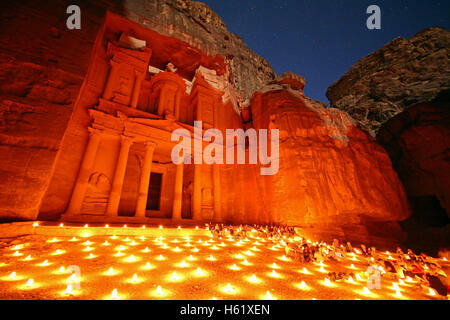 The Treasury at Petra takes on a surreal feel when lit by the candles in hundreds of luminaries during the Petra By Night program held at the UNESCO World Heritage Site. 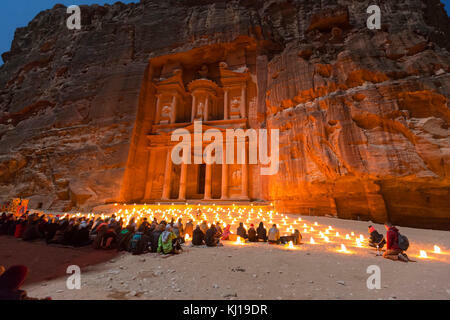 More than just a visual experience, local storytellers and musicians set a tone to match the true grandeur and timelessness of the ancient city. 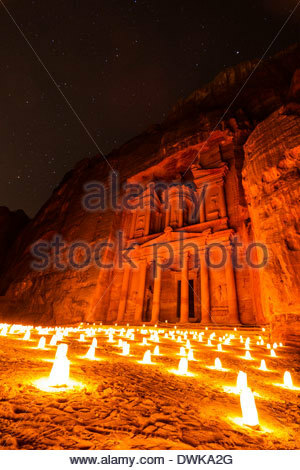 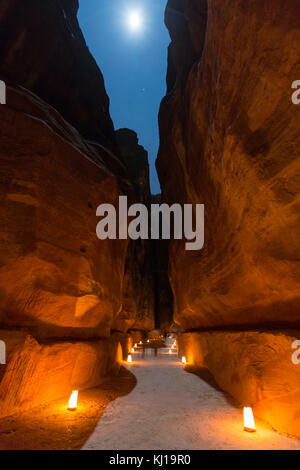 Die Schatzkammer oder Al Khaznah beleuchtet mit Kerzen für Petra bei Nacht in Wady Musa, Jordanien.